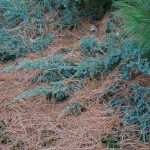 Russian cypress shrubs may be the ultimate evergreen groundcover. Also termed Russian arborvitae because of the flat, scale-like foliage, these shrubs are both attractive and rugged. This spreading, evergreen groundcover grows wild in the mountains of southern Siberia, above the tree line, and is also called Siberian cypress. 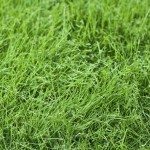 Read on for more information about growing Russian cypress and Russian cypress care. Russian arborvitae/Russian cypress shrubs (Microbiota decussata) are dwarf, evergreen conifers. They grow from 8 to 12 inches tall, with spreading tips that nod gracefully in the breeze. One bush can spread as much as 12 feet wide. The shrubs grow and spread in two waves of foliage. The original stems in the center of the young plant grow longer over time. 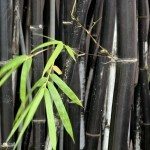 These provide the plant with breadth, but it is the second wave of stems growing from the center that provide tiered height. The foliage of Russian cypress shrubs is especially attractive. It is flat and feathery, growing in sprays that fan out like arborvitae, giving the shrub a delicate and soft-textured look. However, foliage is actually sharp to the touch and very tough. Tiny, round cones appear with seeds in autumn. The needles on the plant are a bright, cheerful green during the growing season. They turn darker green as cooler weather approaches, then mahogany brown in winter. Some gardeners find the bronze-purple shade attractive, while others think the shrubs look dead. Russian cypress shrubs are an interesting alternative to juniper plants for ground cover on slopes, banks or rock garden planting. It is distinguished from juniper by its fall color and its shade tolerance. You’ll do best growing Russian cypress in climates with cool summers, such as those found in U.S. Department of Agriculture plant hardiness zones 3 through 7. Slow-growers, these shrubs take their time to establish. These evergreens grow well in sun or partial shade, and prefer the latter in hotter locations. They tolerate and grow in many different types of soil including dry soil, but they do best when planted in moist earth. On the other hand, install this spreading groundcover in areas where the soil drains well. Russian cypress does not tolerate standing water. Wind doesn’t damage Russian arborvitae, so don’t worry about planting it in a protected location. Likewise, it resists the voracious appetites of deer. 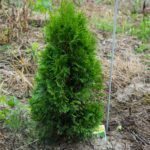 Russian arborvitae is largely maintenance free, and the species has no pest or disease issues. It requires moderate irrigation during dry seasons but, otherwise, Russian cypress care is minimal once the shrubs are established. Read more articles about Russian Cypress.